Also known as the Harmandir Sahib, the jewel of Sikhism the Golden Temple is a majestic religious building sitting among the middle of Amrit Sarovar in full glory in Amritsar, Punjab. The beautiful gurudwara attracts millions of visitors from around the world every year who come to witness the magnificent architecture of the temple and bathe in the spiritual significance attached with the temple. Having immense cultural and religious value, we bring to you ten unknown facts of the Golden Temple. The most important shrine in the Sikh religion, the Harmandir Sahib means the temple of God. It was founded in 1574 by Guru Ram Das the fourth Sikh guru. The Buddha spent time at this area, meditating by the small lake in the forest.Guru Nanak the founder of the Sikh religion stayed and mediated at the same spot as the Buddha two thousand years later. It was covered in gold by Maharaja Ranjit Singh 200 years after it was built which has given it an elegant and enigmatic look. The Akhand Paath was performed almost daily during the first World War by the British Government for their victory in the temple. 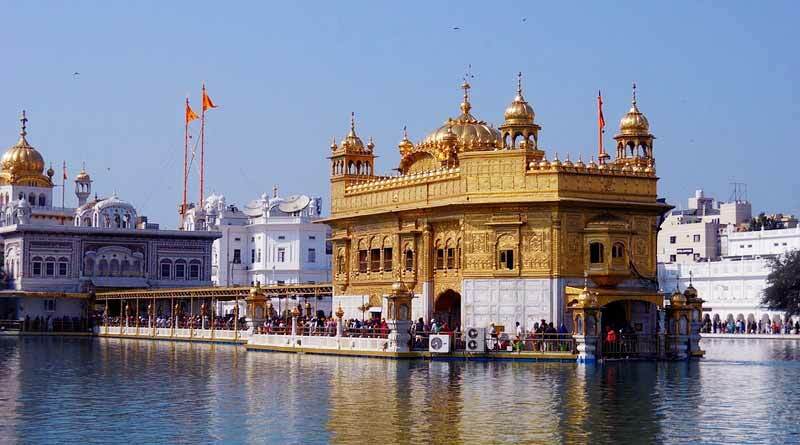 It attracts 3 million visitors per month with people of all religions and country visiting the Golden temple. 35% of the visitors are non-Sikhs which is a testimony to the harmony and inclusiveness of the temple. It has more than 500kg of gold which in today’s date costs more than 140 crores. Only 24 karat gold was used in its renovation with all its coating done by hand by artists from around the country. No electroplating was used during the second renovation which took place in 1995. The gold used will not wear off for atleast 400 years. The temple has 24 layers of gold coating adding to the sheen of the building. Cost of maintaining the temple is managed entirely through donations. The langar serves 1 lakh people per day with people of all religion and castes sitting together to enjoy the food. This is one of the biggest langars in the world with volunteers daily cooking the food for free. The seat of the Scripture is located below the level of the ground floor so that when a devotee wants to pray to it they have to go down to reach god. It signifies that one has to be humble and respect the almighty. The temple has entrances in all four directions which signifies that all creeds and castes are welcome to the Golden Temple. 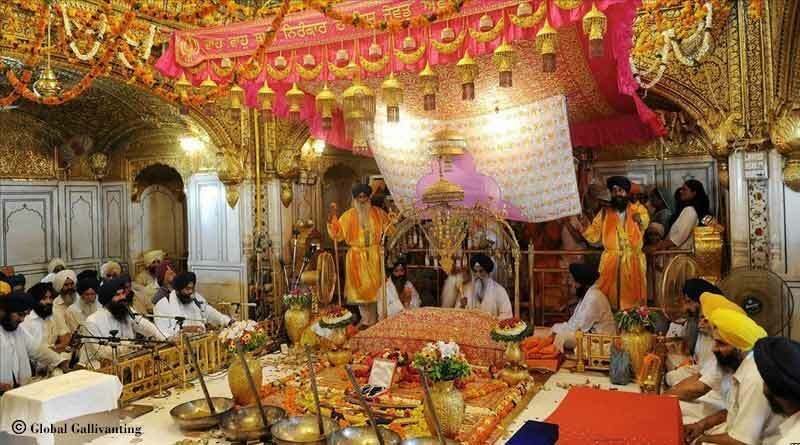 It also houses three holy trees each signifying a major Sikh guru or event.